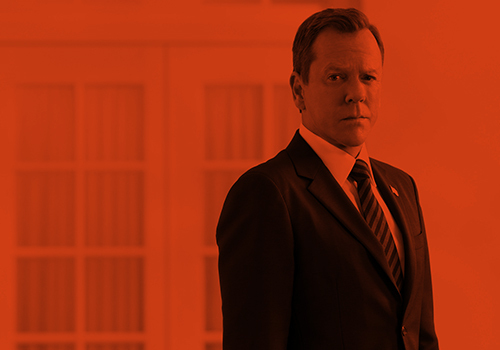 If you are a fan of Kiefer Sutherland playing the terrorism fighting Jack Bauer, you might like to know that there is a possibility that the new series of 24 might be the last time Sutherland plays Bauer. Kiefer Sutherland was speaking at the launch of 24: Die Another Day the actor stated that head writer Howard Gordon revisited the show after four years to deliver a ‘sense of closure’ reports Onthebox. Sutherland also commented that ‘condensing the 24-hour format into two-hours for the big screen was also unlikely to happen,’ so it seems fans can’t expect a 24 movie at some point in the future, but who knows. So there you have it, it looks like the new series of 24 just might be the last, disappointed? This entry was posted by Courtney on Saturday, May 10th, 2014 at 11:17 am. It is filed under 24, 24: Live Another Day, News. You can follow any responses to this entry through the Comments Feed.